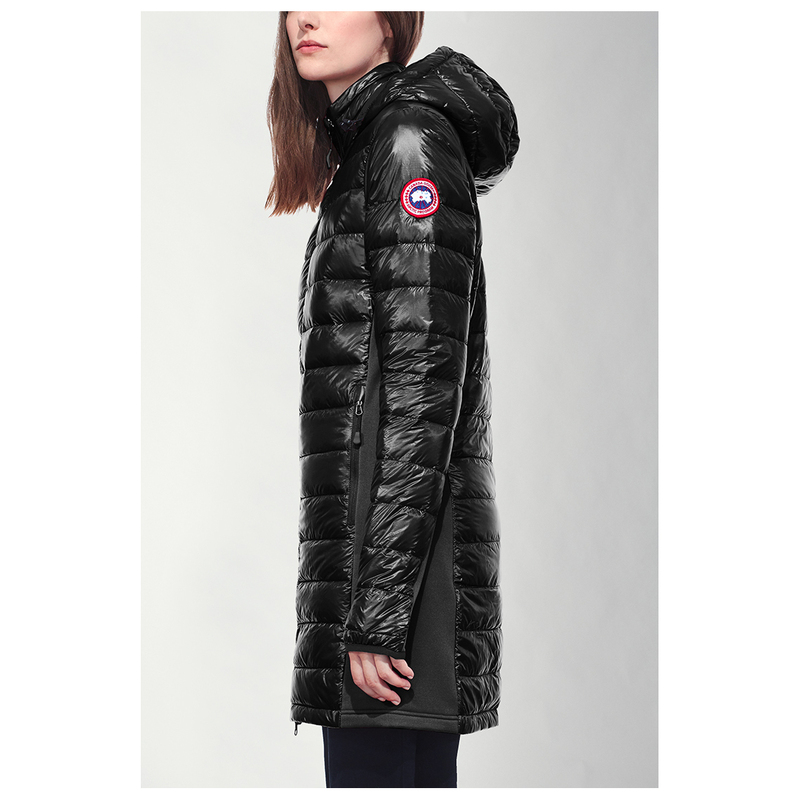 Warm, lightweight and performance-oriented: the Women's Hybridge Lite Coat from Canada Goose. 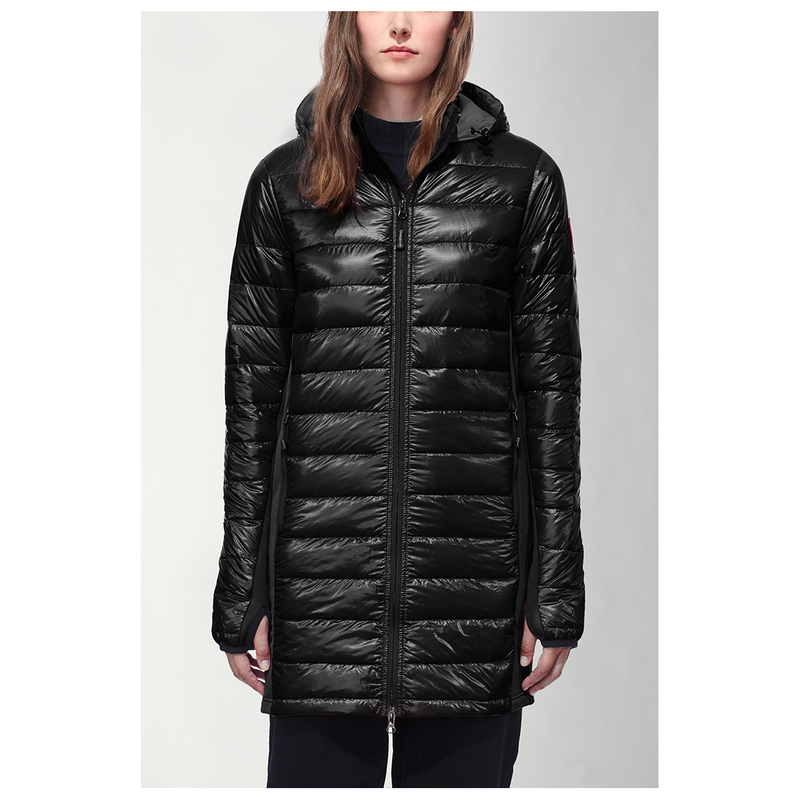 Filled with high-quality, ethically sourced down and equipped with a tough water-repellent outer, this quilted coat is made for physical activities. 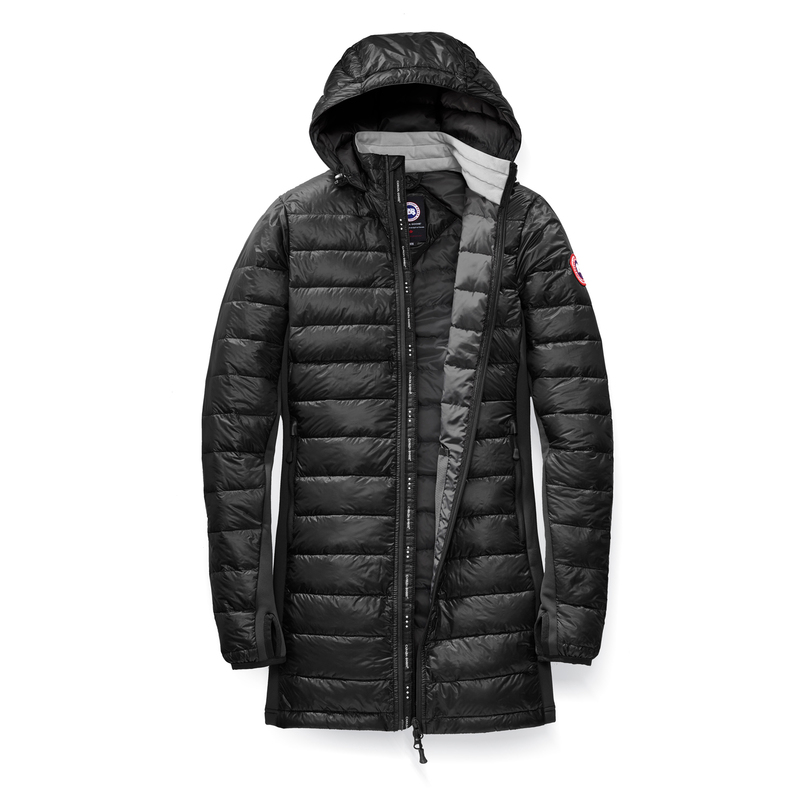 To make the coat even more comfortable, Canada Goose used Thermal Mapping, which strategically positions down and fabric to maximise warmth and create airflow where the body needs it most. For added comfort and freedom of movement, the jacket has been equipped with tough, breathable stretch fabric on the sides and under the arms. The soft collar and adjustable hood is warm and comfortable as well. To prevent cold spots around the front zip, there is an insulated wind guard underneath. The stretch cuffs with thumb loops prevent the sleeves from riding up when you're wearing an extra layer over it. The coat is simply perfect for layering. For increased visibility in low light conditions, there is reflective tape on the back of the collar. The Women's Hybridge Lite Coat packs into one of the front pockets, making it a light, space-saving option for travelling and ski touring.